First quality burlap 7oz weight in 72 inches (Or 6 Foot) width for taller shrubs, bushes, and wind breaks. 50 Feet Long for added coverage. 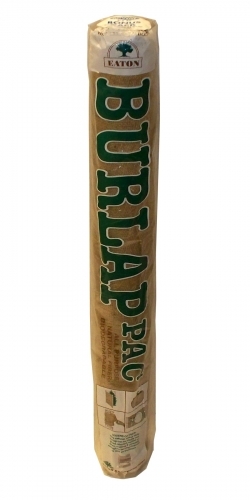 The Burlap Pac contains medium weave, 7 oz. burlap in a 36 in. X 9 ft. roll. 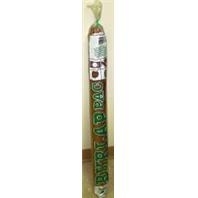 It's great for decorating, crafts, gardening or any other odd jobs around the house. 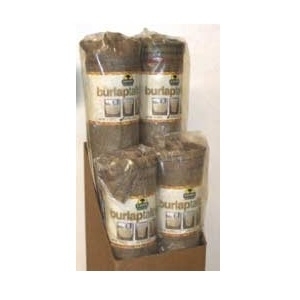 This burlap is especially useful for winter protection of valuable evergreen shrubs and bushes. First quality, medium weave, 7 oz burlap in an exclusive 3 Foot Wide x 30 Foot Long Roll. 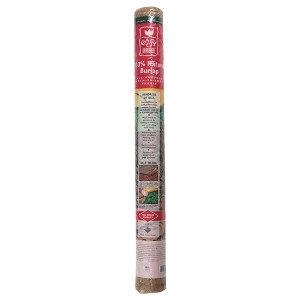 Great for winter protection of shrubs and bushes as well as many other household, craft, and decorating jobs around the home.